Long considered a flawed but brilliant show, Chicago returned to the boards on November 14, 1996, at the Richard Rodgers Theatre, for a run on Broadway that, 13 years later, is still going strong. In this revival, Ann Reinking initially assumed the mantle left by Gwen Verdon, and Bebe Neuwirth took over for Chita Rivera, while James Naughton played Billy Flynn the shyster lawyer, and Joel Grey added his name for marquee value as Roxie’s “Mr. Cellophane” husband. Presented with a minimal direction by Walter Bobbie that made it look more like a stage reading than a full-blown production, the show has since welcomed a long line of name performers who have appeared in it, proving once and for all that it was a superior masterpiece that had been misjudged in its original run. 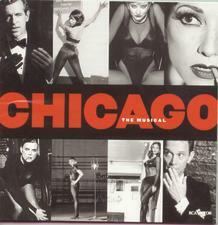 Find Sheet Music for Chicago at Musicnotes.com. Click here!